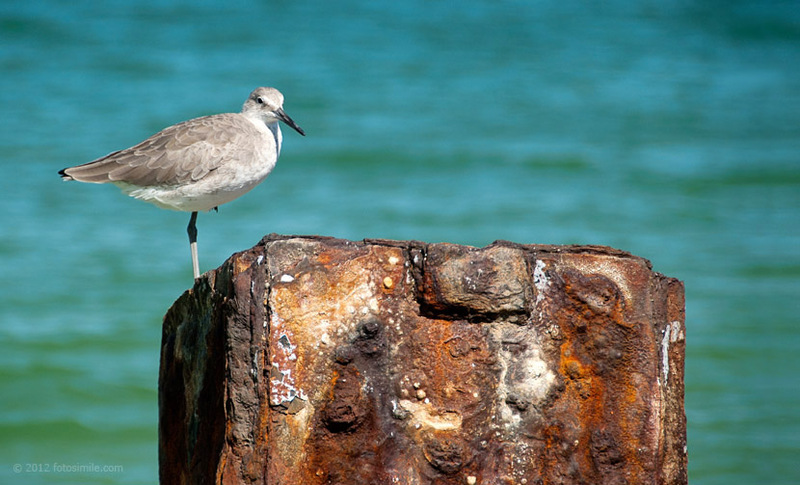 This bird was spied sitting on a wrecked barge on the north end of North Captiva when I was there in the fall of 2010. Other photos from that trip are posted here and here. The same scene in this still photo is also featured in a video collage I made from my trip posted on Vimeo here. The bird looks like he only has one leg, but the other leg is actually bent up and hidden by his body—you can just barely see the edge of his foot. I can't help but love those blue-green waters in the background!